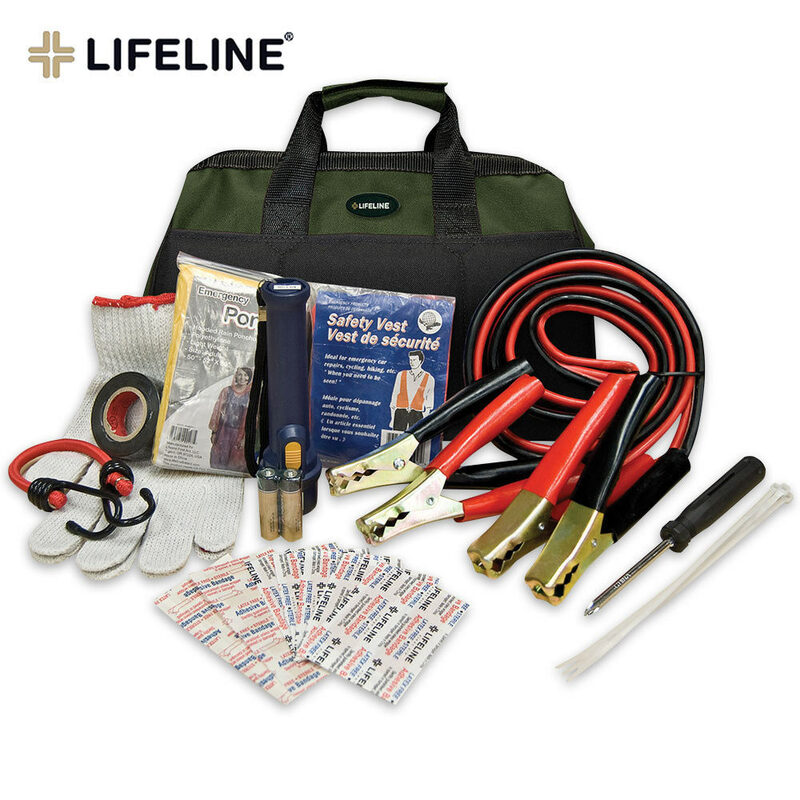 This Roadside Emergency kit contains many items you need most when you break down, or to help other motorists in distress. All packaged in a compact bag. 20 piece first aid kit.